Swine flu is an influenza virus that causes an upper respiratory illness, and occasionally death, in pigs. It is an Influenza A virus. There are three main types of Influenza A viruses: human, pig (swine) and bird (avian) type. Swine flu does not usually affect humans, but if the strain mutates, it may be capable of infecting humans. Humans can then spread the infection to other humans. Most outbreaks of swine flu occur in the fall and winter, around the same time human influenza infections occur. Influenza viruses can be further broken down into different subtypes based on N and H antigens. H stands for hemagglutinin and N stands for neuramindase. These are specific viral molecules found on a particular strain of influenza virus. There are 16 different hemagglutinin subtypes and 9 different neuraminidase subtypes that define different strains. The current type of swine flu is type H1N1. Influenza vaccines are developed to fight certain strains of human influenza. The flu shot does not protect against swine or bird flu. What about Outbreaks of Swine Flu? Occasional outbreaks of swine flu have occurred in the past (Fort Dix, New Jersey in 1976). An outbreak is currently occurring in Mexico and New York City. I lived in Wisconsin when there was an outbreak of swine flu in pigs in 1988. A pregnant woman who was exposed to pigs at a county fair contracted swine flu and died. There was evidence that health care workers who cared for this patient developed mild cases of swine flu. Other people exposed to the pigs developed mild infections and recovered. Usually, there is a single case of human swine flu every one to two years. However, there have been twelve cases of reported swine flu between December 2005 and February 2009. Swine flu cannot be contracted by eating pork. Cooking pork to an internal temperature of 160 degrees Fahrenheit kills bacteria and viruses, including swine influenza. Symptoms of swine flu are similar to human influenza: fever, cough, bodyaches, feeling ill, Other symptoms associated with swine flu include diarrhea, vomiting, sore throat and runny nose. When people ill with influenza cough and sneeze, respiratory droplets can spread the infection to others. If you touch a surface contaminated with swine (or human) influenza, and then touch your eyes or nose, you can spread the infection. Therefore, hand washing is very important. If you have a fever and upper respiratory illness, it is better to stay home and recover, rather than spread infections to others. If you have an upper respiratory infection, you should cough or sneeze in a tissue or your elbow, not your hand. Then you should wash your hands or use alcohol gel if soap and water are not available. Pregnant women, the elderly and infants are most likely to have severe influenza infections. To diagnose swine influenza A infection, a nasal swab or washing is sent to the Centers for Disease Control (CDC) for identification. There are rapid tests to detect Influenza A and B, but it is unclear how sensitive these rapid tests are for the diagnosis of swine strains of influenza. Swine flu is most likely to be detected if tested within the first four to five days of symptoms in adults, and withing the first ten days in children. Amantadine, rimantadine, oseltamivir and zanamivir (taken nasally) are the four drugs licensed for use for the treatment and prevention of influenza. The current H1N1 strain of swine flu is resistant to amantadine and rimantadine. These medications can be used in children over the age of one year. Where Have Swine Flu Cases been Detected? The Centers for Disease Control Provides up to the minute information and recommendations regarding swine flu. Remain calm! Did you know that taking probiotics will help prevent side effects related to antibiotics? Antibiotics do not treat the common cold. They do, however, kill the germs that cause sinus infections, skin infections and bladder infections. But like everything else in life, antibiotics can have a downside. They also kill the good bacteria that live in your gut and that in turn can cause resistant strains of dangerous bacteria to overgrow. Probiotics are live organisms, usually high colony counts of certain yeast or bacteria, which help regulate your gut again. Think of probiotic strains as “friendly bacteria.” Now, you can eat yogurt to give back the good microorganisms to your gut, but you would have to eat ten times the amount of yogurt to get the number of organisms normally found in an over the counter probiotic supplement. So the next time you have an infection, talk it over with your doctor. If it’s clear that you really need an antibiotic, ask your doctor if probiotics are a good option to take along with the antibiotic. Did you know that you can help your kids become healthier by paying attention to the 5, 2, 1, 0 rules recommended by the American Academy of Pediatrics? That means five servings of fruits and vegetables a day, no more than two hours of screen time (TV and computer) a day, at least one hour of aerobic exercise and zero sugary drinks. Of course it would be great if all our five servings of fruits and vegetables were organic produce, but that can be costly. So if you’re pinching pennies (and who isn’t? ), stick with buying organic varieties of the produce that has been shown to have the most pesticides: lettuce, spinach, potatoes, celery, nectarines, strawberries, cherries, pears, grapes, apples, bell peppers and peaches. Most parents know that infants should ride in a rear facing car seat until age one. Actually, the American Academy of Pediatrics recommends keeping toddlers in car seats until age two. Children are five times safer in a rear-facing car seat than in a forward-facing car seat until the age of two. Previously, it was believed that when the legs of children were long enough to reach the seatback of the seat the car seat is buckled into, there was a higher risk of injuries to the legs. Hence the previous recommendation of changing to a front-facing car seat after age one year. Now studies confirm that fractures of the legs are rare with rear-facing seats. In a car accident, rear-facing car seats protect the neck, head, spine and pelvis better than front-facing car seats. Toddler’s heads are disproportionately large for their relatively weak necks, so the risk of paralysis and other serious spinal cord injury is much higher in forward-facing car seats. If an infant car seat is used, the infant should be changed to a rear-facing convertible car seat when the infant’s head is within one inch of the top of the car seat and the maximum weight limit (usually between 22 and 32 pounds) has been reached. Toddlers over the age of 12 months old and under 4 years old should ride in a harnessed car seat, preferably one with five points. Since car accidents are the number one cause of death in children,it is extremely important to continue to have toddlers ride in rear-facing car seats until age two. or call 1-866-732-8243 or 888-327-4236. In the medical journal Cancer Prevention Research, Jed Fahey, a nutritional biochemist at the Lewis B. and Dorothy Cullman Cancer Chemoprotection Center at the Johns Hopkins University School of Medicine, described the benefits of baby broccoli sprouts to the stomach. Fahey and colleagues showed that in 25 Japanese patients infected with the Baby broccoli sprouts , eating two and a half ounces of broccoli sprouts a day for two months helped reduce, but not eradicate, the H. pylori infection. H. pylori is a known culprit in stomach ulcers (peptic ulcer disease), stomach cancer and lymphoma of the stomach. There is a particularly high infection rate of H. pylori infection in Japan. Interestingly, eating alfalfa sprouts did not show the same benefit. Fahey theorizes that the ingredient sulforaphane found in baby broccoli sprouts encourages the formation of natural antioxidants in the stomach which fight H. pylori. The risk of stomach ulcers and possibly stomach cancer is reduced when H. pylori is eradicated from the stomach. Fahey cautions that his study does not show direct evidence that broccoli sprouts eliminated H. pylori infection or prevented stomach cancers. The levels of H. pylori in the stomach returned to pre-treatment levels when the test patients stopped eating broccoli sprouts. Alfalfa sprouts do notcontain sulforaphane. Adult broccoli has much less sulforaphane than broccoli sprouts. So there is a tantalizing possibility that future studies may indeed show positive effects of broccoli sprouts on preventing ulcers and stomach cancer. Another reason to consider adding broccoli sprouts to your diet: other studies have shown that these sprouts contain isothyiocyanates, which have cancer fighting action against bladder cancer. Hmmm, broccoli sprout tea, broccoli sprout smoothies, broccoli sprout salad, broccoli sprout cheeseballs, broccoli sprout guacamole, broccoli sprout hummus…the possibilities are endless! I am frequently asked by my patients, “What is the best weight loss diet?” (Followed by the question, “What pill can you give me to lose weight?” which is the topic of another article!) My answer is, “Whatever diet works for you.” THERE IS NO SUCH THING AS “THE DIET.” Many diets promote weight loss and improve overall health. For example, the Ornish diet is the traditional low fat/high vegetable diet. The Mediterranean diet includes significant intake of fish, occasional red wine in some cases, olive oil and mixed nuts. The DASH diet, Dietary Approaches to Stop Hypertension, includes whole grains, some meats and no more than 2/3 tsp salt daily. The DASH diet helps prevent hypertension. Patients who follow high protein, low carbohydrate Atkins or Zone diets also successfully lose weight. Similar to the low carbohydrate diets are the low glycemic diets, such as the South Beach diet, which emphasize carbohydrates that avoid rapid increases in blood glucose after being eaten. The Pritkin diet is a VERY low fat diet. Food and supplement replacement diets (Nutrisystem, Optifast, Slimfast) also work, as do group programs such as Weight Watchers that emphasize support systems and group weigh-ins. Confused yet? The problem with every diet system is that the weight is regained unless the dietary changes become a permanent part of one’s eating routine. So if you can’t eat high protein and fat, or low fat and vegetables, or protein shakes for the rest of your life, you will regain the weight. What I suggest is small changes that can be a permanent part of your life. Remember, obesity is a lifelong condition, just like allergies or arthritis. If you stop treatment, weight gain, just like other chronic illnesses, will recur. 1) Eat a small, healthy protein/fruit rich breakfast. 4) Increase your activity. Start with five minutes of leisurely walking three times a week to simply incorporate exercise into your weekly routine. If you actually make the initial effort to set aside a small amount of time for exercise several days a week, you will slowly notice that you naturally increase your exercise exertion and endurance without significant effort. Of course, it is ESSENTIAL that you consult with your primary care physician first before starting any exercise program. 6) Skip second helpings (worth mentioning again). 7) Consider eating six small meals a day instead of three large meals, and make dinner your smallest meal. 8) Add more fiber, naturally, through whole grains (unless you have celiac disease), or fiber supplements. 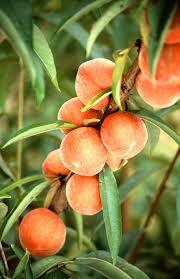 This is important for better colon health and to help serum cholesterol. 9) Cut out sodas and other sugary drinks. 11) Make a DETAILED food diary. 12) Decrease or eliminate sweets (Don’t buy them for your home, especially if you have children—you want them to develop healthy eating habits at a young age). 13) Cut out fast foods. 14) Walk across the parking lot to your job or up the stairs—this is the starting point, not the ultimate goal, of your exercise program. 16) No food from vending machines! 17) No snacks after 7 PM. 18) Think about loving your body with all it’s imperfections. Concentrate on improving your health and well being rather than looking like a movie star. 20) Everyone in the family eat together for as many meals as possible, especially dinner. You and your teenagers are more likely to eat healthy meals, rather than fast food, this way. 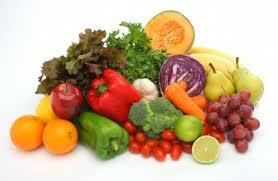 21) Try to eat at least five fruit and vegetable servings a day. Even if you don’t follow a “name” diet perfectly, incorporating ONE or more of the above measures is a great starting point, and will give you a sense of mastery and accomplishment. I ask patients to accomplish that FIRST SMALL step in their lifelong odyssey toward a healthy weight, decreased susceptibility to illness and most importantly, feeling energetic and happy!